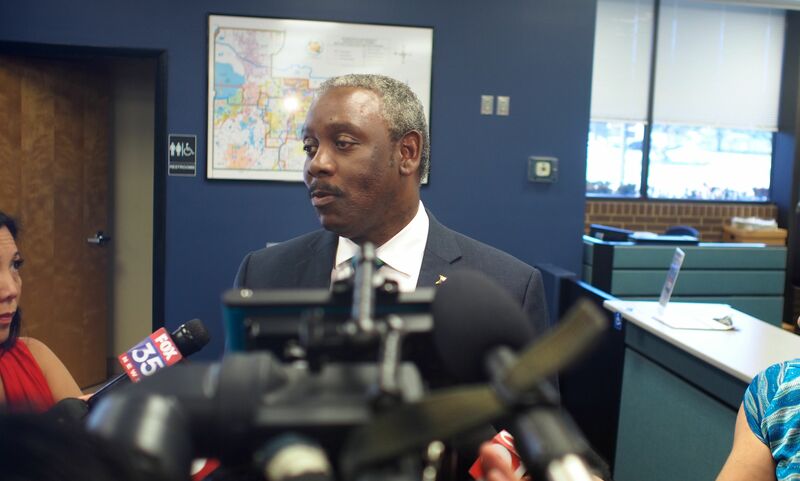 Orange County Mayor-elect Jerry Demings has announced his transition advisory team to be lead by Orlando entrepreneur Harold Mills and the last Democrat to hold the post he won in the August election, Linda Chapin. The bipartisan, 37-member team is full of leaders of Central Florida businesses and nonprofits including those from Walt Disney World, Adventist Health System, Orlando Magic Youth Foundation, Tavistock Group, the Mental Health Association of Central Florida, and Full Sail University. Also on board are some major political and public policy influence leaders such as Tim Giuliani, Derek Bruce, Angel de la Portilla, Jim Pugh, Wayne Rich, and Kelly Cohen. Their focus will be to provide counsel to Demings as he lays the groundwork to reorganize the Orange County Mayor’s Office and the county administration in advance of his December swearing-in to succeed eight-year Mayor Teresa Jacobs. “My vision is to achieve a safer, more prosperous and stronger Orange County that is sustainable for generations. I am pleased to announce the transition team and am thankful to the co-chairs, former Mayor Linda Chapin and Harold Mills, for their leadership and commitment to moving our region forward,” Demings stated in a news release issued by the transition team. While Demings will become the first Democrat to hold the post since Chapin left office in 1998, the transition team includes several notable Republicans including former Orange County Commissioner Scott Boyd, lawyer Marcos Marchena, and developer Allan Keen. Chapin and Mills will serve as co-chairs after working as crucial players for the past year in the gubernatorial campaign of Winter Park businessman Chris King, who is now the running mate of Democratic gubernatorial nominee Andrew Gillum. Their leadership should offer close ties between the Demings transition and that of the Gillum-King ticket, should it take the governor’s office in the Nov. 6 election. The team includes Chapin, former Orange County chair; Mills, Former chairman and CEO of ZeroChaos; Owusu Amaning, president of GCI International; Adam Babington, vice president of external affairs at Walt Disney World; Boyd, former Orange County Commissioner and vice president of McKinnon Groves; Bruce, shareholder at Gunster; Stuart P. Buchanan, partner at Swann Hadley; Cohen, managing partner, Southern Strategy Group Orlando; Candice Crawford, president of the Central Florida Mental Health Association; Jay Galbraith, vice president of public affairs at Valencia College; and Linda Landman Gonzalez, vice president of Philanthropy and Multi-Cultural Insights, and president of Orlando Magic Youth Foundation. The team also includes Giuliani, president of Orlando Economic Partnership; the Rev. Terrance Gray, Saint Mark AME Church Orlando; Michael Griffin, vice president of advocacy and public policy at The Adventist Health System; Martha Haynie, retired Orange County Comptroller; Paula Hoisington, vice president at Net Communications; the Rev. Joel Hunter, retired pastor; Garry Jones, president of Full Sail University; Keen, chairman and CEO of the Keewin Real Property Group; Fred Kittinger, senior associate vice president of university relations at the University of Central Florida; Ken LaRoe, founder, chairman and CEO of First Green Bank; Jay Leonard, general manager Wyndham Lake Buena Vista Resort; and Bill Lutz, retired deputy police chief. 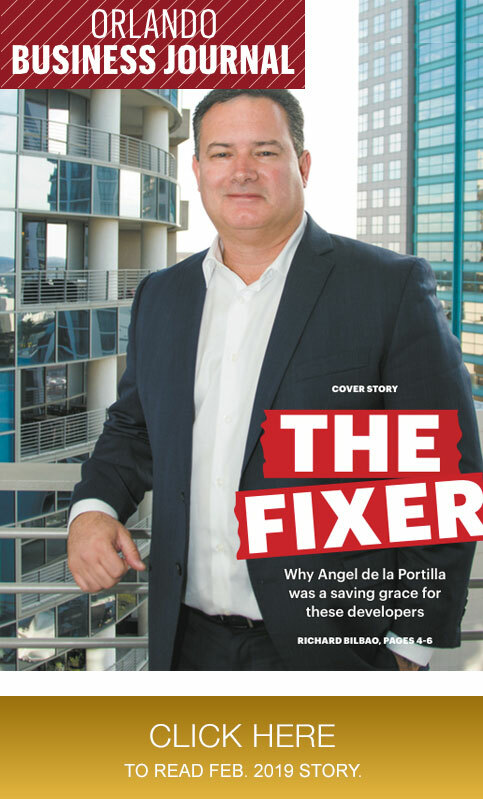 In addition, the team features Marchena, a shareholder at Marchena & Graham; Didier Menard, area manager at Jacobs; Bill Miller, of Moore Stephens Lovelace; Jeffry A. Miller, of Seifert Miller; Dan T. O’Keefe, co-managing partner of the Orlando office of Shutts & Bowen; Gaby Ortigoni, president of the Hispanic Chamber of Commerce; Dennis Pape, managing director, Catalyst Spaces; de la Portilla, Central Florida Strategies; Pugh, CEO, owner and chairman, Epoch Residential; Marc Reicher, senior vice President at Rida Associates; Rich, Nelson Mullins; Joe Rivera, a UCF student; Jason Siegel, CEO of Central Florida Sports Commission; and Rasesh Thakkar, senior managing director of Tavistock Group.